I just got back from the Surrey International Writers Conference in Vancouver. I loved it. I spent a lot of time taking pitches from the 400 participants. But I also saved some time to attend some wonderful classes taught by writers. Diana Gabaldon, author of the bestselling Outlander series, gave a presentation on how to manage backstory in a novel. I’ve always felt that finding a way of getting the backstory out without just dumping it into a prologue is not easy. The other class that I attended was about point of view and was taught by mystery writer, Hallie Ephron. Most of us know that point of view has to do with the novel’s narrator. Sometimes first person, sometimes third, rarely (thank God) second. But Hallie showed that the devil is always in the details, and that point of view is infinitely complex. She told me after the class that getting point of view right is the hardest thing in fiction writing. Even harder than managing backstory. After taking her class, I think she’s right. One of the best attended presentations of the conference was a workshop on making effective pitches to agents. It was given by a panel of 3 agents: myself, Vickie Motter, and Bree Ogden. The three of us are getting to be a bit of a dog and pony show. We gave the same presentation at the Willamette Valley Writers Conference last month. Vickie has a cool blog called: “Navigating the Slush Pile.” Check it out. Every conference seems to have a class on techniques for presenting effective pitches to agents. I don’t agree with a lot of what is getting passed off on this subject. When I get pitched at conferences, too often I find that the attendees have been so over-coached that by the time they get in front of the agent, they act like their heads are going to explode. They read from note cards, they recite from memory in a sing-songy way, they stare at me with an intensity that spooks me out. 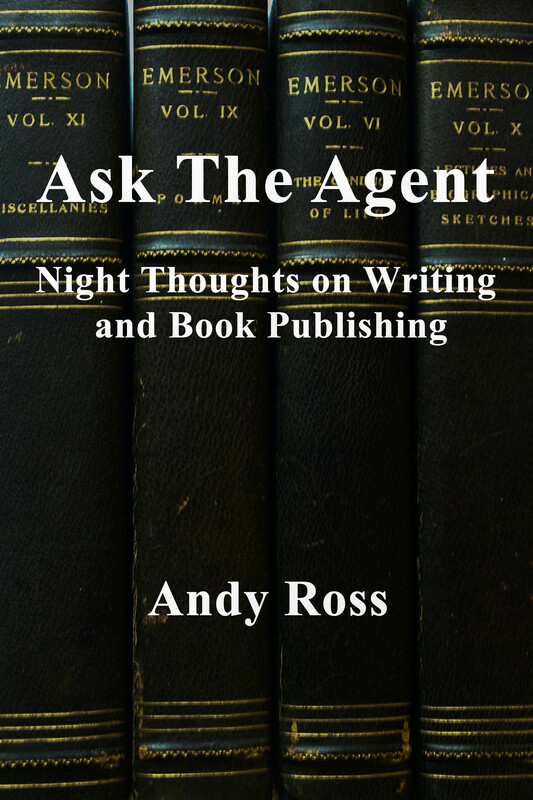 A lot of times they are taught that the 10 minutes they get to spend in front of an agent will determine whether their book will get published. AND EVERY SINGLE WORD THEY SAY DURING THE PITCH MUST BE PERFECTLY CRAFTED AND CALIBRATED. Oh, puh – lease! I certainly don’t want a writer to sit down with me and present a rambling and incoherent description of his book project. But I find that most of the people who do that have an incoherent book concept. If you have a good book, you need to convey the virtues of that book during a pitch session, but you should be able to do it in a more relaxed and conversational way. This says to me that you have confidence in the quality of the book. So when authors sit down with me, I tell them to put away their notes and let’s just talk. I think that makes us all feel a lot better. I find that pitching fiction is particularly difficult. Usually the author sits down and proceeds to rattle off the plot for 10 minutes. Hard as I try, I just can’t follow it. And neither can any agent I’ve spoken to about this. For me there is no way I can judge whether a novel is good or not by being bombarded with a plot recitation. It’s been said that there are only 10 plots in all of literature. That might be an exaggeration. But for me good fiction is not just a plot but how you tell the story. And it’s pretty hard to get that across during a 10 minute pitch. The best an author can do is to give a very short description of the story and try to convey something meaningful about it even though that is, ultimately, ineffable. I always want to know something about the writer too. Has he published before? Has he won any awards? Is he respected by his peers? That’s important. That takes about a minute and says about as much as I can absorb. Of course, I may think that the author making the pitch suffers delusions of grandeur. You might want to tone it down a bit and show a little modesty. At least, if you aren’t Count Tolstoy. Actually, that’s an important point. I really get turned off by people who try to convince me that their book is unique in the annals of mankind. Or that it will definitely be made into a movie, or that Oprah will kneel before him and wash his feet. Managing clients’ expectations is always tough, and I insist that they take a realistic approach to getting published and remember it’s a business and, at least at some level, the book is treated like a product. Non-fiction pitches are a little easier. What I need to know is what the book is about, why is it important, who’s going to buy it, and what authority does the author have to tell it. This is all information that I will need to consider later on in a book proposal. But maybe you can pique my interest so that I’ll ask you to send one. So potential authors, I recommend that you relax a little bit and just be yourself. If you have a great idea for a book, you will probably be able to communicate that without resorting to notes and gimmicks. I don’t really care if your pitch isn’t perfect, as long as your project is.